This feature requires a vehicle’s RASTRAC device to be wired for the Starter Disable function. The time-range based Starter Disable feature will disable the starter at a programmed start time and enable the starter at a programmed end time. 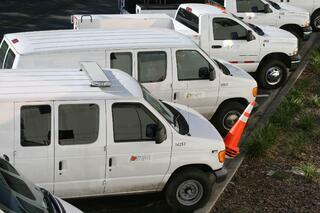 If a vehicle’s engine is running when the starter disable is set to on, it will not turn off the engine. However, the next time the ignition is turned to the start position, the vehicle will not start. During the time range the starter is disabled, the disable can be turned off through RASTRAC as shown below; conversely, you may also turn the disable on at any time using the same step. When the starter is enabled you will see a key, as seen above where the blue arrow is pointing. When the starter is disabled, the key will have a circle around it with a line through it. 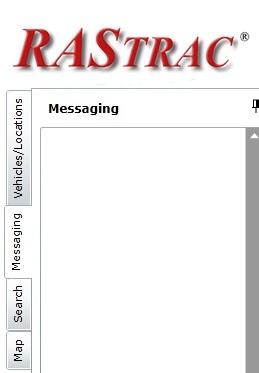 The time range can be changed at any time through the message feature of RASTRAC, as described below. The time zone a device is in will not affect the time range. Specific coding has been installed in the device for each time zone. There are two programming configurations: Daylight Savings Time in force and Daylight Savings Time not in force. This is to accommodate the Arizona time zone. 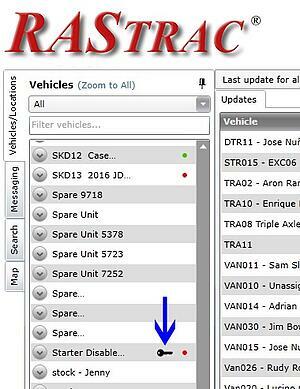 RASTRAC will change the configuration for each device as needed according to Daylight Savings Time. The time the starter becomes disabled and then re-enabled is completely up to you. It only takes a few steps. Via the Message window at the bottom left of the page, you can set the Disable or Enable times over the air with the commands listed below. Begin by choosing the vehicle you wish to change or to verify the disable/enable times by choosing the vehicle from the drop down vehicle list. The command below in bold must be typed into the Message window and is required for changing the time range for the action you wish to carry out. Note: The time of day is based on 24 hours and must be entered similar to the example time shown. After the command has been typed, click the Send button. After the command has been sent, you will receive a response as shown below. The expected time to receive a response will be 30 to 60 seconds. Should a response not be received, resend the command until a response has been received. The response will ensure the command has been received by the RASTRAC device in the vehicle. 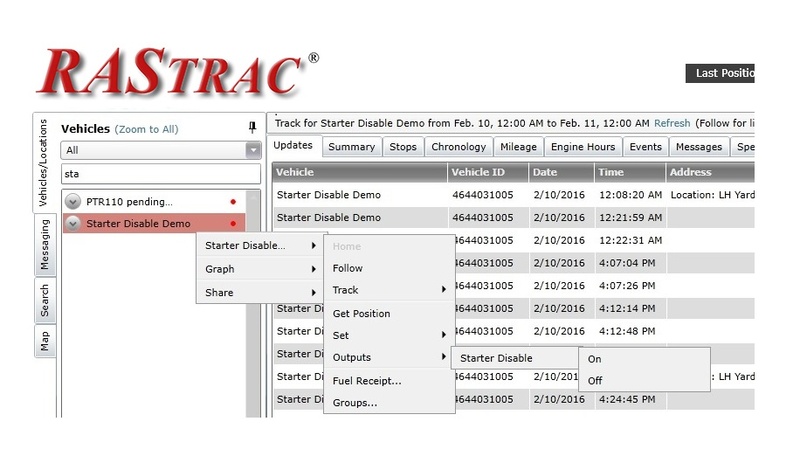 Contact us today for additional information on the Starter Disable feature!